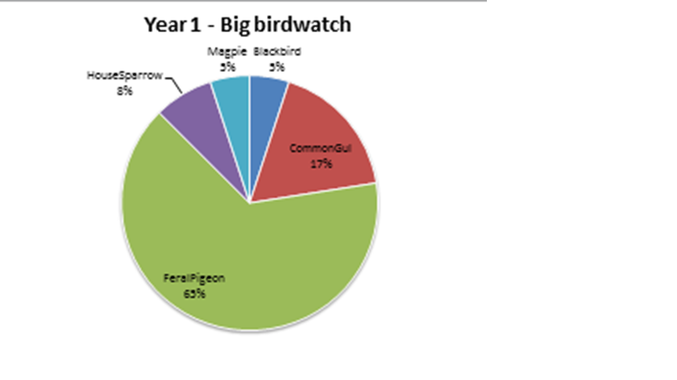 Year 1 recently took part in a national Big School’s Bird watch, for the RSPB. We looked carefully in the playground, around school and in our gardens to try and spot different birds. We learnt about each type of bird, where they would be hiding and what they like to eat. We saw lots of pigeons, but the magpies were our favourite.